We’re closing out the evening with the disappointing news that Republican Karen Handel has won the special election runoff against Democrat Jon Ossoff, according to projections by NBC News. 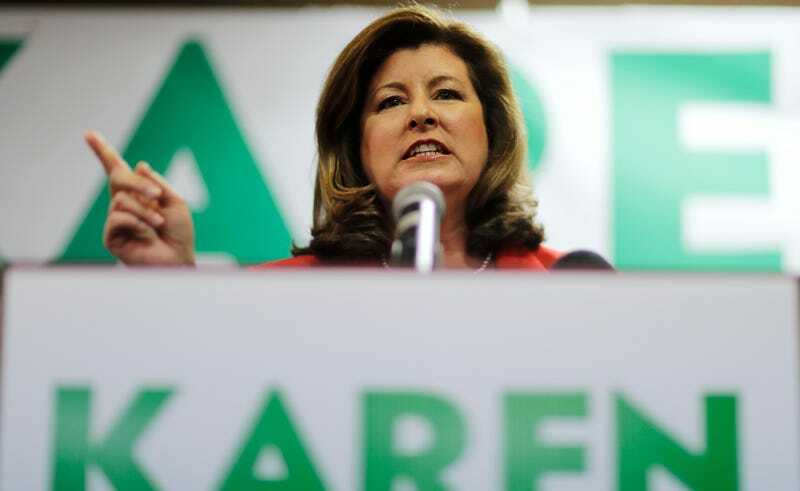 Ossoff’s campaign attracted national attention for presenting a significant challenge to Handel in a district that is traditionally heavily Republican and inciting the most expensive House race in history, weighing in at over $50 million. According to the New York Times, Ossoff, a 30-year-old political neophyte, raised $25 million for his campaign from progressive backers who ardently wished the runoff to symbolize a national refutation of Trump’s rise to power. Handel won the election with 52.6 percent of the votes to Ossoff’s 47.4 percent, with 99 percent of precincts reporting. Tom Price, now Trump’s health secretary, won the district by 23 points in 2016. So it’s not as if the needle hasn’t moved at all, far from it. Back in April, when neither candidate earned 50 percent of the vote and a runoff was announced, Trump of course blamed the media and threw sarcasm at the situation for good measure. Just so you know, and never forget it, that he’s the biggest baby in the tweets. And here’s Trump reacting to the Tuesday night results, momentarily becalmed as he suckles on his pacifier of ignoble affirmation.